The mechanical fastening system ERO Joint® is available on pitches T10, AT10, T20, AT20, 8M, 14M for all widths over 16mm with reinforcement Steel, Kevlar or Stainless steel. (The recommended minimum diameter for pulleys is 50mm). The ERO Joint® splice is compatible with all type of coatings (Supergrip, Linatex®, PU, Sylomer®, …) and all types of guiding. With the pin mechanical fastening system ERO Joint®, you will optimize your production downtime by reducing the repair time. The assembly can be realized by screwing or with a tool. 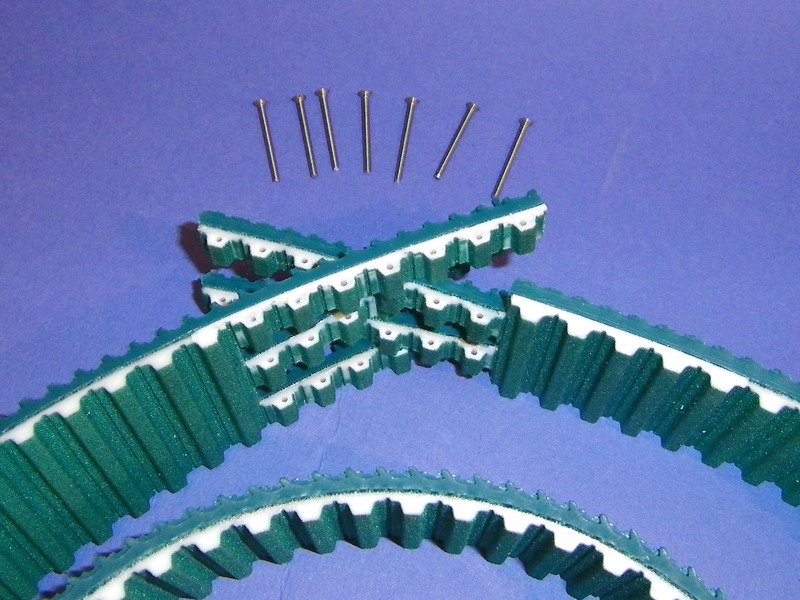 This tool enables the pre-tension of belt and makes pins threading easier. Between pulleys, there is always a ½ continuous tight side to assure the mechanical resistance and the rigidity of the belt. 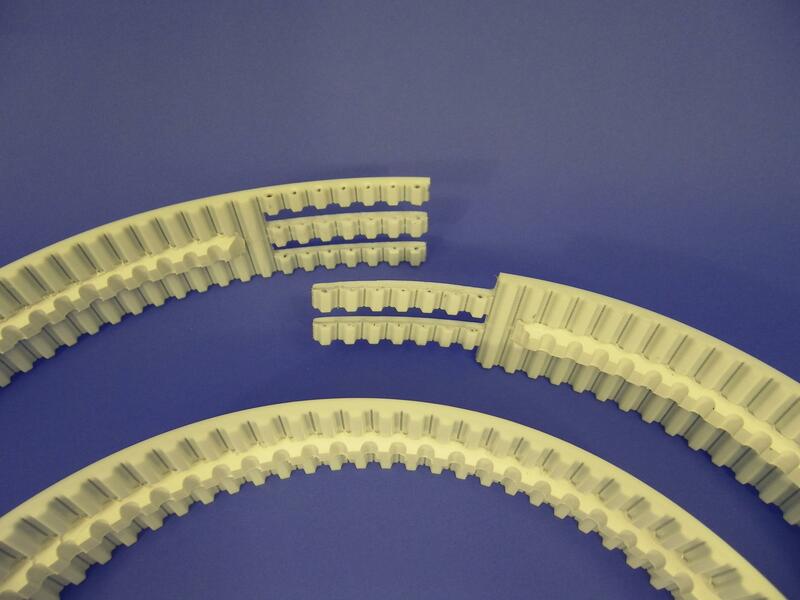 The ERO Joint® wide timing belts are spliced in our production using a patented process and fitted with the length requested. 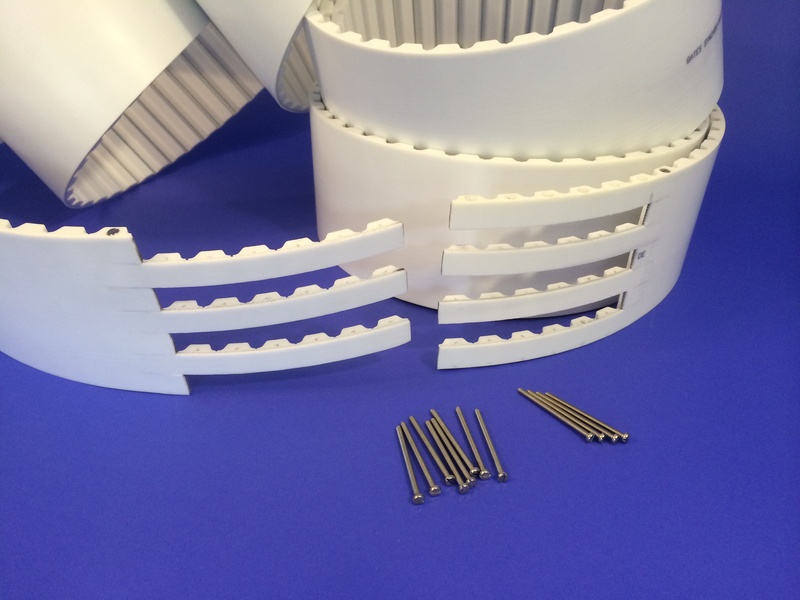 Mechanical strength and lifetime greater than any other mechanical fastening systems. ERO Joint® WT is available for all pitches and all widths of more than 100 mm. 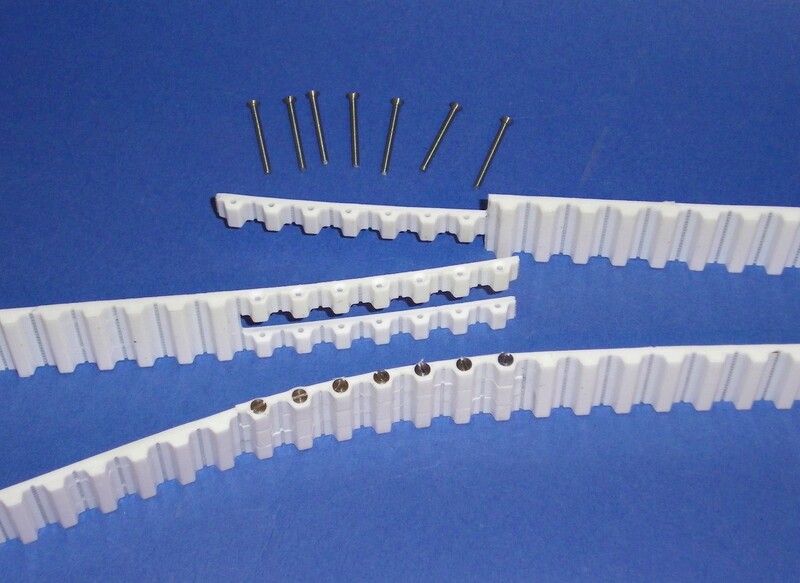 The mechanical spiral seams system is also very easy to assemble as ERO Joint® but its mechanical resistance is lesser.